Some or you are having issues accessing Scholaric this morning. This is due to the domain name transfer. Update 7:47 AM Central Time Feb 18th - The underlying issue is fixed, there is one final step in the transfer process that I missed. Many thanks to Hover's help desk for finding and fixing the issue. However you may see issues for the next 24 hours. If so, you can use the above domains, which are not impacted. Letter grades appear on report cards. By default, they are 10 point scale grades. You can modify the the grading scales to your liking, and even have different scales for different courses, as you may need with advanced classes. Printouts can be both reduced and enlarged. This helps if you printout has an extra page with just a little bit on it, or if your student has vision impairment and needs larger printout. I also added the ability to add page breaks in weekly printouts. In addition to traditional bumping, you can now bump earlier, for the cases when one is ahead of schedule. It happens, really! In addition to Lesson Groups, you can generate multiple lessons per day generation which you would want to use to enter scores for each individual lesson. URLs in printouts became clickable links. Certain links to YouTube videos became embedded videos. TED talks, look out for us! You can temporarily switch periods within the report card or grade book. Much better than changing period, running report card, and changing period back. You can change the background colors in Scholaric. This helps those of you who have have better taste than I do - that its, all of you. I automated the sending of emails when payments failed. Big time saver for me. Great timing, because now I'm switching off of Amazon to Stripe. That's a lot for one guy to do in his spare time. I'd love to be working on this as my primary job. Help spread the word. More good things coming in 2015. You may have noticed your first visit to the dashboard each day taking a bit longer than expected. The dashboard has goal calculations, which involve retrieving the year's lessons from the database, and calculating them. This is a slow process, so the calculation results are cached. However, this calculation expires each day at midnight. So when you first visit Scholaric, the goals for all of your students had to be recalculated. I've now added a cache primer that runs each night so that your first-visit experience should be a faster one. Check it out, and let me know if you think it is faster. 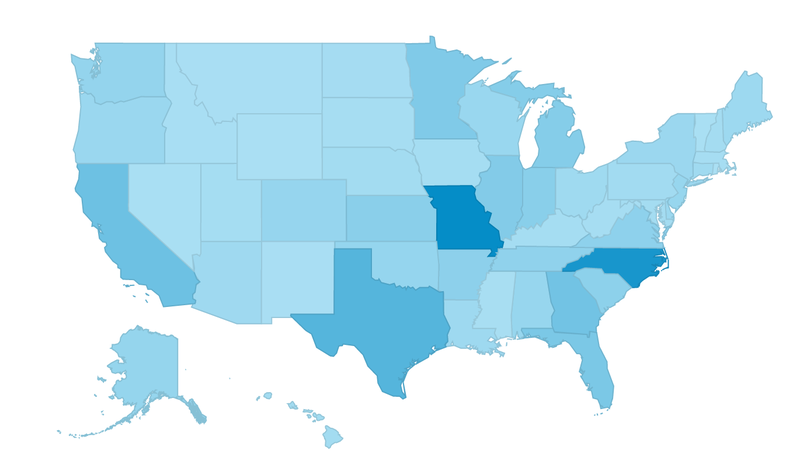 For the first time, Scholaric has users in all 50 states! 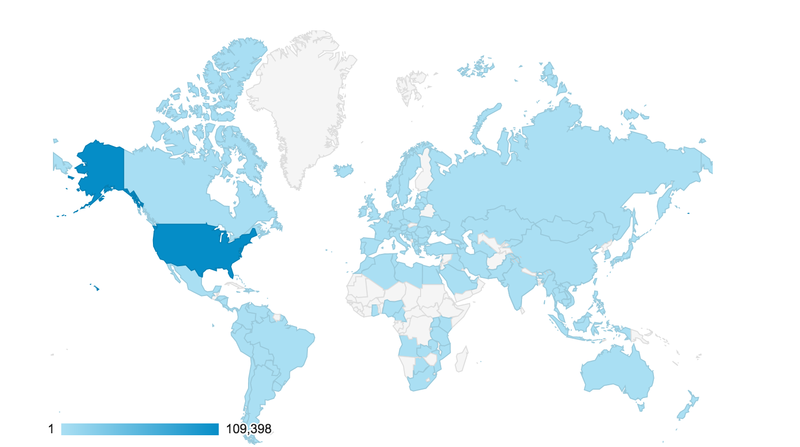 Thanks for helping spread the word to your neighbors. I've been working on switching the payments backend from Amazon Flexible Payments System (FPS) to Stripe. Better support for subscriptions: Amazon provides a token to allow you to charge, a fixed amount monthly. It’s up to the application to figure out what accounts need to be charged each day and how much. Things get tricky when payment plans change, or when Amazon changes what it feels constitutes a month. Stripe charges that fixed amount monthly, and notifies the application when that happens. Better support for retrying failed payments: Amazon notifies the application of a failure and then allows it to be recharged. Stripe retries automatically, and notifies the application when it has cancelled the subscription. Better test environment: Amazon has a “sandbox” for testing, but I found it lacking, and it has no real way of testing calls Amazon makes back to me. Stripe has a complete test environment, including the web dashboard, and callbacks, which can be replayed on demand to test them or have a do over if they were handled incorrectly. Better customer service: Amazon, which prides itself on the customer experience, should be ashamed of the service it provides developers. I've experienced poor response times on emails, very little oversight of forums, and disputes which don’t get settled. I’ve even received errant emails telling me they are going to shut down my account because it is "unused", in spite of my charging many times that day! Stripe gets back to you the day you ask a question, and has been very helpful. They even look at my code. In addition, their documentation is so clear and helpful, it answers most of my questions. They even provide examples in the programming language of choice (Ruby in my case), so many things I need, I can just copy and paste into my code. International Payments: Unbelievably, Amazon does not support international payments for developers. And, this is only found when a card is charged - no warning is given when it is entered. Stripe supports these cards. Everything Done Through Scholaric.com: The most frustrating biggest struggle with Amazon, was when users got informed of failed payments, they would often enter new card information on Amazon's site, but I would not be able to charge it. This would cause confusion and delay. With Stripe, everything is entered and modified on scholaric.com without visiting another site. But don't worry, credit card information is still stored at Stripe, not with me. Some of you may ask, "Why not PayPal?" In addition to being difficult to integrate with, they can (and do) lock out your account for up to 6 months, without warning, or reason. This effectively puts you out of business. This is not infrequent, and there is no appeal, no one to help you. I've hear of this happening when, for example, your sales increase suddenly, and they assume you are a fraud. Sorry to the PayPal fans out there. The switch to Stripe will happen gradually, so you will receive a follow-up email when it is time to transfer your subscription. You can now change your color scheme. Go to your account settings and modify the the Background Color and/or Header Color. Enter a hex CSS color, or valid color name. rgb() and rgba() colors are not allowed at this time. 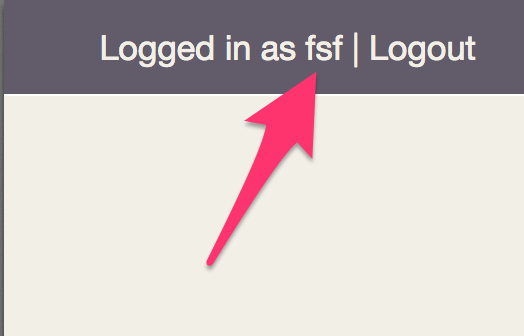 This brings up the account dialog, where you can edit your password, email address and other settings. ...and you will see a list of other periods. This action will display the report using the selected period, without changing your current period, which can be confusing if you forget to change it back. ...appears in the page when displayed on screen (not in a printout). This keeps the student on Scholaric's site, and not on YouTube, which can be a distraction, with all its related video suggestions. Next, click the share link below the video. 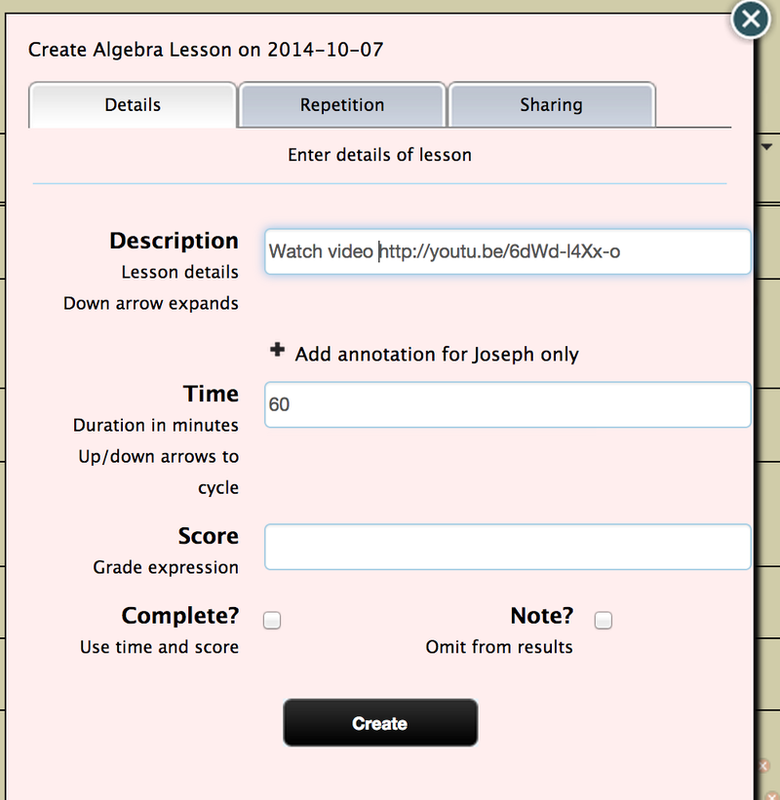 ...and paste this link inside a lesson. The share link is a slightly shorter URL. or select add from the courses menu. Note: for new students, the dialog pops up automatically. 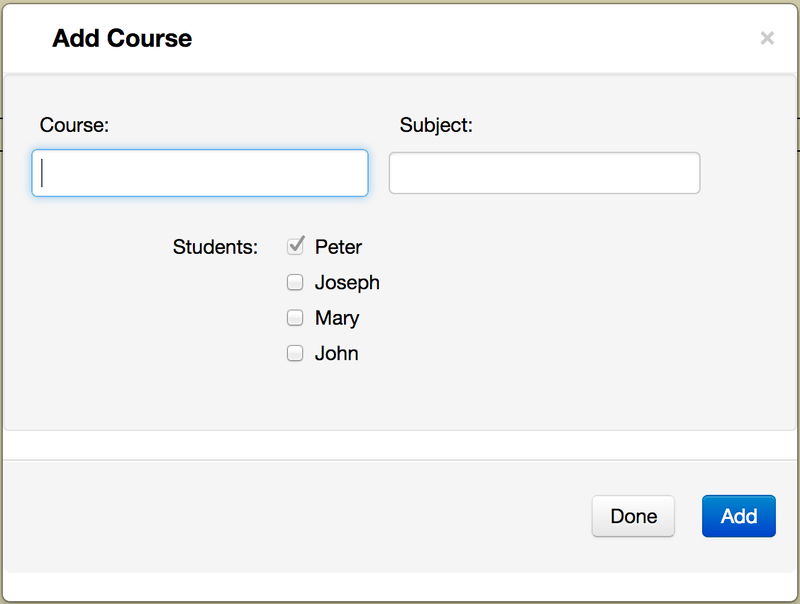 Enter a course name and a subject name. Scholaric will try to match existing courses and subjects for you automatically. If it does find a match, you can select these names from a drop-down menu. 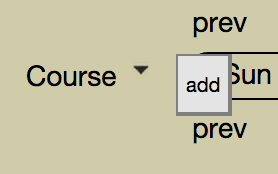 If you'd like to add the course to multiple students, check the checkbox next to their names. 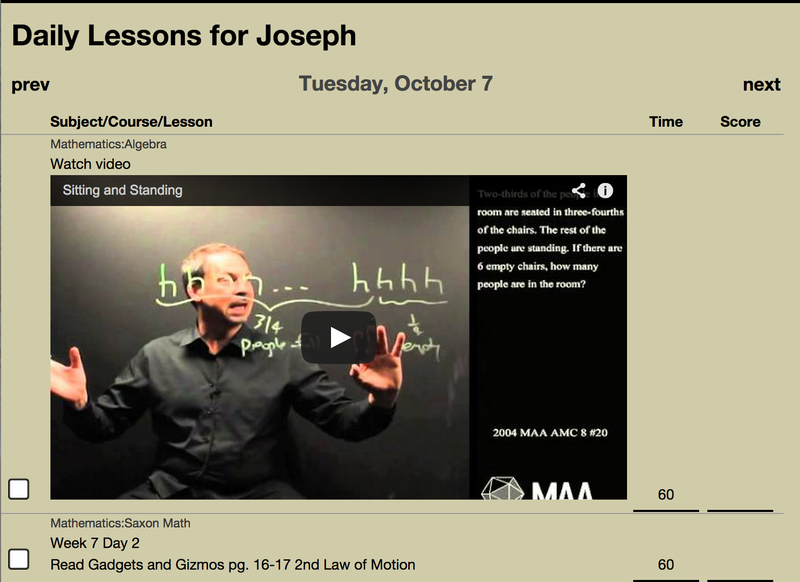 The student whose grid is displayed is automatically checked and disabled - to force that student to get the course. Finally, hit the Add button in the lower right corner of the dialog. Create the course, if it does not exist; otherwise, find the existing course by name. If the course does exist, the entered subject name is ignored. Create the subject, if it does not exist; otherwise, find the existing subject by name. Add the course to each of the selected students. The new course is then displayed and highlighted for you, and a message indicating the results is displayed in the dialog. Note: the dialog remains open so that multiple actions can be taken quickly.